Horse Breeds Directory - O Horse! 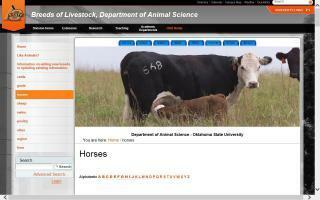 Breed history and information from Oklahoma State. 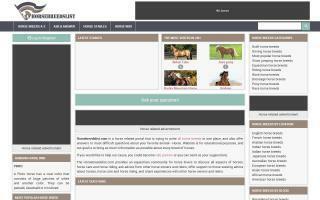 HorseBreedsList.com is a young website that is trying to unite all horse breeds in one place. Our website is for educational purposes, and our goal is to bring together as much information as possible about every breed of horse. We also have various horse related articles that you can read. If you have any suggestions, contact us! Professional equine sheath cleaning service. Providing warm water wash and rinse (no hoses here!) No tranquilizers used. Travels to your barn or show stall. Horses do NOT need to "drop" to be fully cleaned. Most horses need sheath cleaning every 6 months.